As cannabis continues to benefit from its changing reputation as a medically beneficial substance and safe recreational product, marijuana has been at the forefront of mainstream and subcultural society. Given broadening access to an amalgamation of different cannabis products, groups of dedicated stoners and cannabis lovers have emerged, placing marijuana under a critical microscope like that of a fine wine or cigar with marijuana critic jobs. A variety of online and print cannabis publications feature reviews of different strains of marijuana flower and other products to demonstrate varieties in quality, taste, smell, high, and medical implications, just to name a few. In states where medical and/or recreational marijuana dispensaries are legal, such reviews can be helpful when determining what product will suit a customer, while giving them the biggest bang for their buck. Magazines like Culture feature reviews from a variety of writers on specific products that can often be found and purchased at specific dispensaries. Like every other writer/cannabis lover I know, being paid to review weed is somewhat of a fantasy we hoped, but never thought would exist. While there are opportunities to join the staff of popular magazines and websites with marijuana critic jobs, these positions are significantly hard to obtain due to massive competition. Despite competition, writers know that the only way to find out if they’re right for a job or not is to submit or pitch! In 2015, The Oregonian put out an ad for a “freelance marijuana reviewer”, one of the first major newspapers to include marijuana reviewing as a section in their paper. The ad was worded simply, calling for “an experienced cannabis consumer with deep knowledge about the variety of strains and products available on the Oregon market.” In this vein, it’s easy to see that the most important qualification for marijuana critic jobs is having experience and knowledge of the products. Just like other critic jobs, reviewers have to find a way to synthesize their experience with a product into a succinct, yet detailed review. Simply put, being a pot smoker is not enough. Qualified applicants will be well versed in cannabis lingo, and be efficient, talented writers who can work within specific guidelines. Even for writers who land kush jobs at major publications, it is unlikely they will be able to support themselves financially on that job alone. Even successful reviewers often still have side gigs or pursue other full time jobs. If you’ve tried applying to several marijuana critic jobs and find yourself empty handed, it might be time to consider doing some self-starting. Though this avenue requires more personal time and energy than the alternative, the option of starting your own magazine or online product review blog is a legitimate way to pad your resume and get your name out there. This avenue can be helpful not only in developing a portfolio, but also allowing for interaction with other members of the marijuana community like you who are trying to find their place in the industry. Platforms like tumblr and youtube are popular modes for product reviews, and with enough social media savvy, gaining a following is possible if posts are consistent and not overly long. Learning to be economic in your writing is key, as most publications have stringent limits on word count. Part of the excitement surrounding marijuana critic jobs are its implications toward advancements in sweeping medical recognition and research opportunities. Many critics will pay special attention to medical benefits of particular products and strains, opening up conversation regarding which products are most effective for specific ailments. A comprehensive breakdown of why one strain is a more effective course of treatment than another is an integral resource for medical patients as there are many government enforced roadblocks to cannabis research. Due to marijuana’s classification as a schedule I drug, (which essentially denotes it as a highly addictive, unbeneficial substance) funding is very hard to come by for in depth cannabis research. Reviewers may be sharing anecdotal evidence in their criticism, however, it helps to aggregate many individual experiences with certain products, helping to lead us toward conclusions about this still mysterious plant. Aside from detailing the medical benefits of cannabis products, marijuana critic jobs involve breaking down the entire experience of consuming a product from beginning to end. This process appeals to both the medical and recreational connoisseur who seek the best smell, taste, appearance and high. Marijuana is known for its pungent, variable aromas; though some may not immediately notice the difference in scent from one strain to the next, the cannabis critic and avid marijuana consumer are well versed in the tasty variations from Sour Diesel to Blue Dream. When determining strain aroma, answers are found in the plants’ terpenes. Terpenes are oil secretions that come from glands in the marijuana plant that provide powerful, ranging flavors. As Leafly points out, terpenes are an adaptive quality based on luring in pollinators and repelling predators, hence the strong floral, citrus and pine notes one often finds when taking a whiff. Terpenes are often one of the predominant factors in strain naming. Aggressive flavors have defined some of the most popular strains sold today, such as Pineapple Express and Strawberry Cough. Due to the prevalence of dispensaries cropping up along the west coast, patients and customers are consistently able to view and purchase a variety of well prepared, beautiful buds. Gone are the days of being sold shake with stems littered throughout the bag. A well trimmed bud shows a quality bud. Often, if you purchase a discount strain at a dispensary vs. a top level strain, you may find the flowers to be less tightly trimmed than others, possibly still containing some sugar leaves, contributing to an overall less concentrated level of THC and CBD. Additionally, the color and hue of specific strains are major selling points to some customers. Marijuana plants can range vastly in color from the standard green bud with orange hairs, to deeper tones of purples and blues. For most recreational consumers and many medical patients, the high experienced from using a product trumps possibly every other factor when deciding which products to choose. This is where the marijuana critic is of utmost importance. The high experienced from one product to the next can vary greatly, depending not only on strain, but on the type of product itself and the way it is consumed. Reviewing the high on eating a CBD only edible is going to be very different than taking dabs. For this reason, some look to reviewers as a guide in order to figure out what product fits the customer’s current needs and desires. 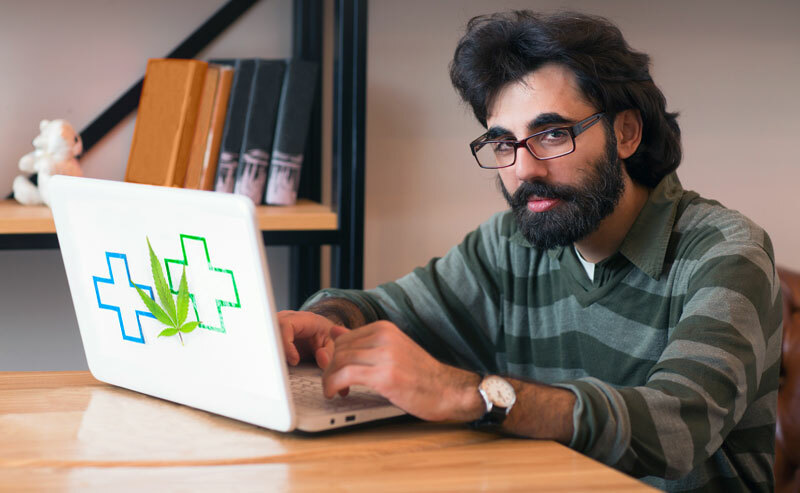 Marijuana critic jobs are still in the early stages of being taken seriously, but those who work in the field really care about shedding light on cannabis in a way that erases stigma and promotes health. As legalization inevitably infiltrates the country, be sure to look out for jobs at your city’s local paper–you might just be their first cannabis critic!